My name is Emily Keenum, the Health Initiative Coordinator with the Virginia Early Childhood Foundation, a public private partnership dedicated to ensuring all Virginia’s children get to kindergarten ready to learn. Before this position, I worked as a National Outreach Specialist at Wingspan. I work on Virginia’s Taking Steps to Healthy Success childhood obesity prevention project, which is funded by the Nemours Foundation and the Centers for Disease Control. To launch this project in 2014, VECF partnered with other agencies committed to healthy child care – Child Care Aware of Virginia, Virginia Foundation for Healthy Youth, Virginia Department of Social Services, and Virginia Health Department. Sixty-one child care programs enrolled from Richmond South, Virginia Peninsula, and South Hampton Roads communities, and participated in trainings and received hands-on technical assistance to help them make important changes in their routines and policies regarding nutrition, physical activity, screen time and parent outreach. It has been remarkable to see how committed the participating child care providers have been. I expected child care programs would implement a few healthy changes here and there, and I would have felt really happy about that. But many of the participating programs have gone above and beyond – undertaking substantial and often difficult changes like eliminating all pre-fried foods from menus, giving up teacher workrooms to provide a provide space for nursing moms, and creating water stations – all to promote healthier settings for children. Our biggest accomplishment in this project has been providing exciting, practical training throughout this almost year-long project and retaining 90% of the child care programs who enrolled, all of whom implemented at least two practical, healthy changes. A big challenge of this project is managing the breadth of information and content shared with participating child care programs. Our strategy to make sure we were providing the best content and support for participants was to engage local experts in our trainings. For example, we partnered with Eastern Virginia Medical Services to share about their Breastfeeding Friendly Child Care project and invited representatives from ChildSavers in Richmond and The Planning Council in Norfolk to talk about healthy menus and other aspects of high quality child care. I am particularly excited about the Virginia Early Childhood Foundation’s “Smart Beginnings Start with Families: Healthy Children are Ready to Learn” statewide campaign running from May 10-June 21 (Mother’s Day to Father’s Day). 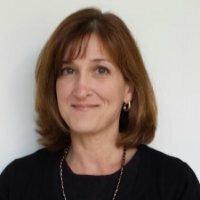 In partnership with the American Academy of Pediatrics – VA Chapter, VECF has developed free resources, available on the VECF’s website, to help families and caregivers understand the importance of children’s early years as a critical time for building a strong foundation for good health and school readiness. This special focus on a healthy start includes information about obesity prevention and nutrition, so I am thrilled that we will be spreading the word about this important issue and how it connects to school readiness. So far, the trainers for this project have all been recruited for through ConnectVA. In fact, my job as Project Coordinator was also posted on ConnectVA! It’s great to have a go-to platform for folks interested in work that is non-profit or service focused. It’s very exciting to see enthusiasm in the early childhood world about healthier settings for children – at the program level, but also reflected in the work of our partners. We’re hoping to bring together other key Virginia stakeholders in child health and quality care, and collaboratively develop a best practice guideline addressing nutrition and physical activity in child care that could be shared across these systems. This could really promote meaningful health changes in early care. Do you know someone who should be nominated for ConnectVA’s Spotlight? Email us at info@connectva.org! ConnectVA Spotlight: Juanita Epps, Pathways-VA, Inc.